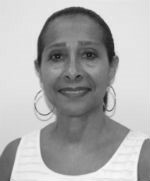 Glynis Ramos-Mitchell is the Supervisor of Translation &amp; Interpretation Services in the Cobb County School District’s International Welcome Center. She is a native of Rhode Island and has been living in Georgia since 1984. Glynis holds the Bachelor of Arts in Spanish/German from Middlebury College and the Master of Arts in Teaching Spanish Language and Cultures from the Universidad de Salamanca. Her career in World Languages/ESOL spans four decades, having served in Rhode Island and Georgia as a teacher of Spanish, German, ESOL, World Languages Department Chair, World Languages and Cultural Awareness Programs Specialist, administrator, and translator/interpreter. Her languages of study are Portuguese, Cape Verdean Creole, German, French, and English. Interpreters of the Cobb County School District have long been the essential link between families whose primary languages are other than English and the school district. As such, these interpreters are active participants in bridging language and culture among parents, students, and school communities by helping students to achieve their full potential and parents to become more engaged in their children’s education. In the first part of this presentation, interpreters of Spanish and Portuguese will briefly describe the interpreting scene and its historical background in the Cobb County School District. Secondly, they will discuss past and current training opportunities instrumental in developing professionalism and creating standards for providing quality interpretation services. In the third part of the presentation, interpreters will share respective “real life” experiences interpreting in general educational scenarios as well as the specific areas of special education, parent-teacher conferences and tribunals. The final part of the presentation will address questions.